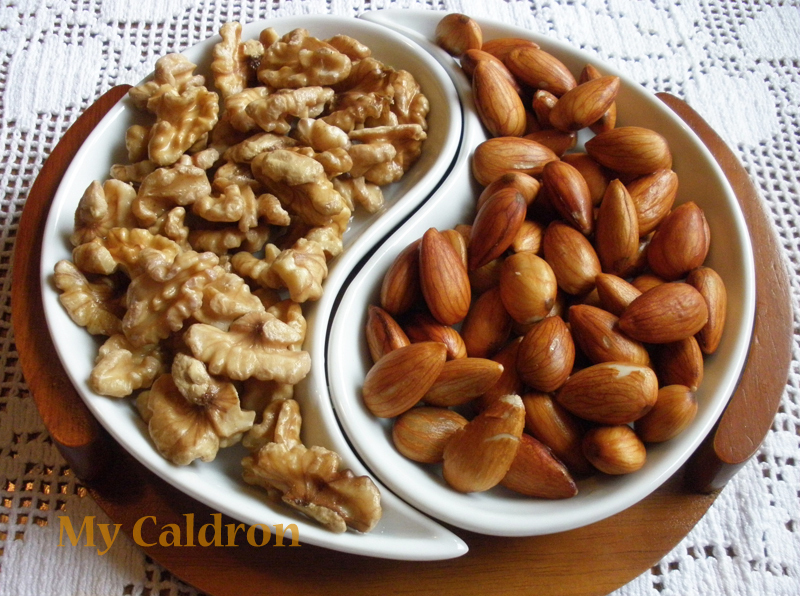 Walnuts and almonds are so good for your health: they are said to prevent heart disease and lung and prostate cancer and nourish brain cells. 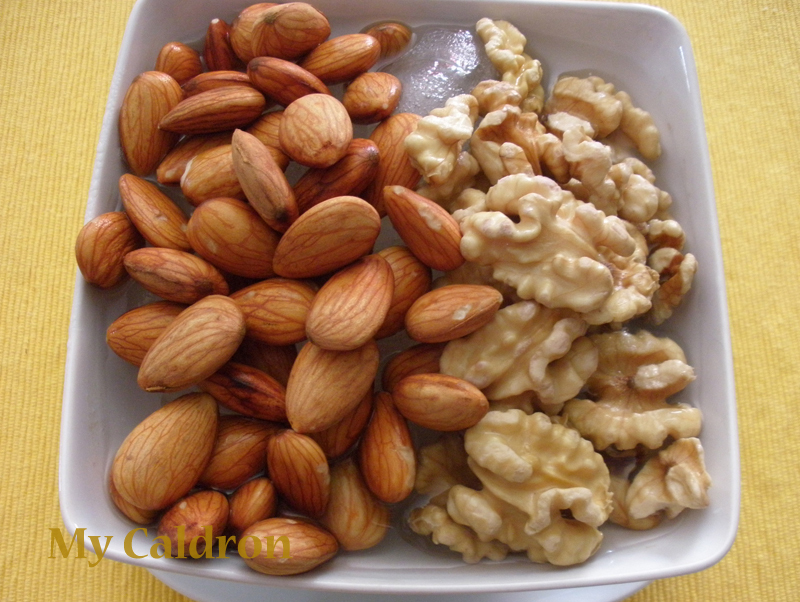 Walnuts and almonds also contain healthy calories and healthy fats. In fact, those who incorporate these two nuts into their regular diet are said to be less likely to gain weight. I love walnuts with my tea and feta for breakfast; and I usually use almonds on my salad. My favorite nut dish however, is the one on the picture. Just on its own, as a side dish, appetizer, filler, snack, and with bear as a chaser or “mazeh”. Here is a trick to make walnuts look and taste fresh and white: Soak them in water for 24 hours and change water a few times, then place on ice.